Internal engine parts, wheel bearings, differentials, steering boxes, and manual transmissions all wear with regular use. Reverse the wear and get better performance, less emission, and better gas mileage with GO-15-HF™. Step 1: The first bottle is used as your treatment prep. 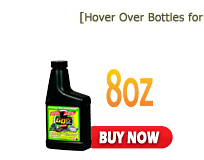 Install the first bottle of GO-15-HF™ to your cars' engine and drive 1000 miles. Step 2: At 1000 miles, change your oil and oil filter and add the 2nd bottle of GO-15-HF™ in addition to your normal level of oil. Step 3: At approximately every 3000 miles or other manufacturers recommended service interval for conventional oil change maintenance, change your oil and filter and add GO-15-HF™ in addition to your normal level of oil. 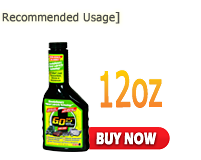 After approximately 12,000 miles and 1 year, or once you have used your last bottle of GO-15-HF™, buy another GO-15-HF™ discount pack, containing 4 bottles of GO-15-HF™ for the next year of engine treatment and maintenance, or next series of maintenance intervals. » Crankcase: 5 qt. engine add 10oz of GO-15-HF™ at every scheduled oil change. Truckers add 2oz. 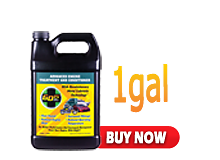 of GO-15-HF™ per quart at every scheduled oil change. » Standard Transmissions & Differentials: 4 ounces per quart of fluid used. » Hydraulic Systems: 8 ounces to every 5 gallons of fluid at every 1,000 hours of use. 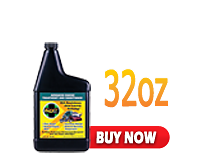 » Compressors: 1 ounce per quart of oil at every oil change. » Ball & Roller Bearing Assemblies: Mix 8 ounces per pound of grease prior to packing. 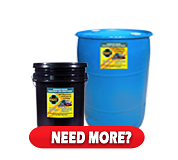 GO-15-HF™ can be mixed with motor oil, synthetic oil, gear oil, hydraulic oil,and grease.